Note: Approval to pay for new welding machine and DNA supplies will be given after the All Class Reunion. The Hillman Foundation operates an on-going budget derived from memberships in the foundation, gifts, and grants from former alumni and friends. All of its financial activities are subject to board approval and are accurately reported on a monthly basis by the Foundation's CFO, Lori Heitz. 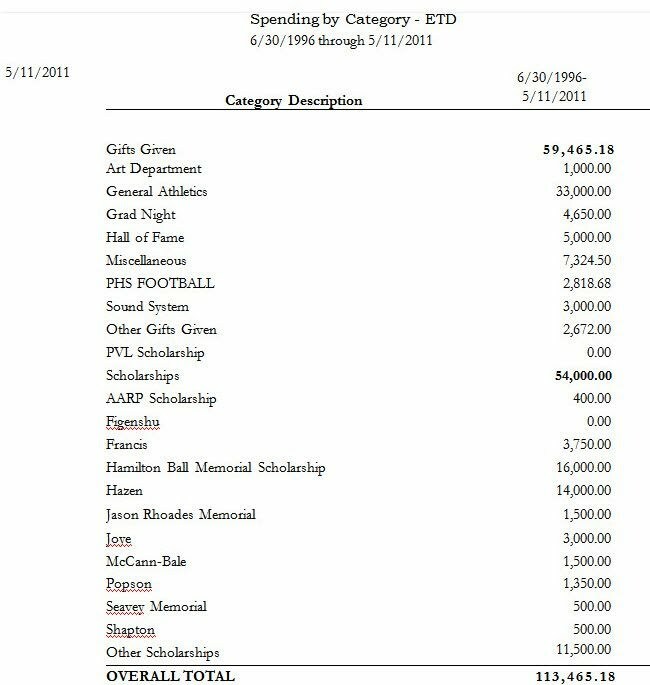 Below is a record of the foundation's expenditures from 1996 to the recent past.